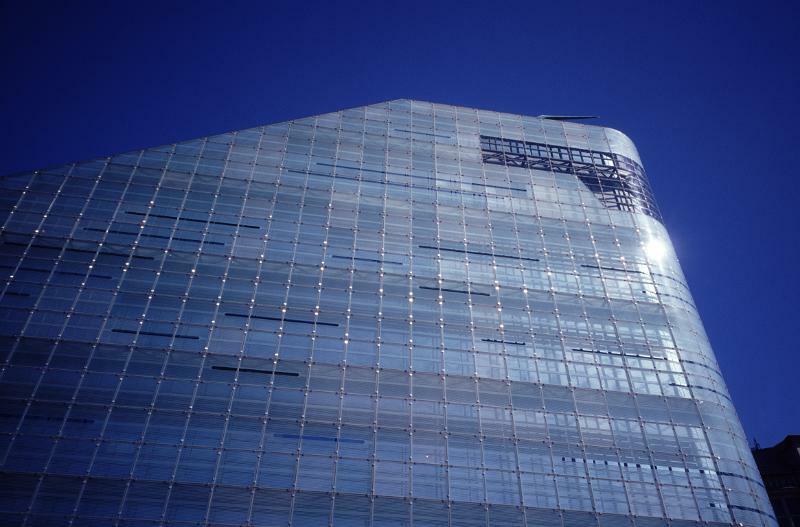 Urbis Building in Manchester, England. An Exhibition and Museum Venue. Captured from Lower Angle Point with Blue Sky Background.